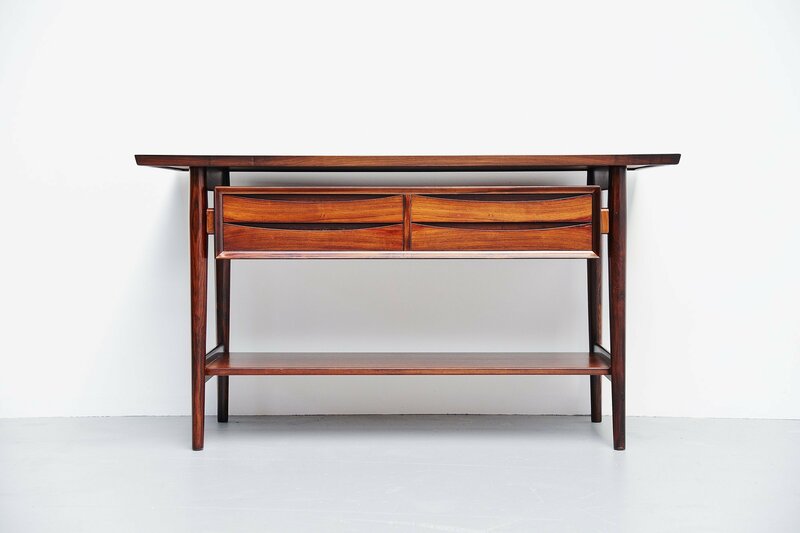 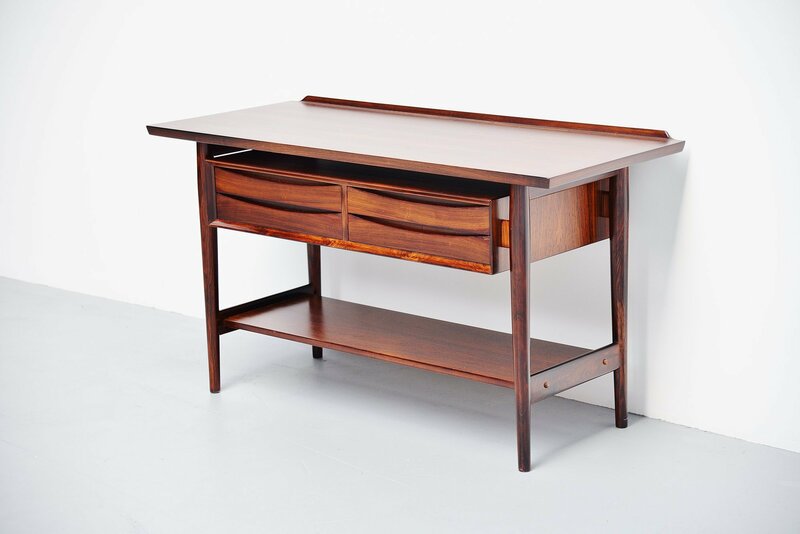 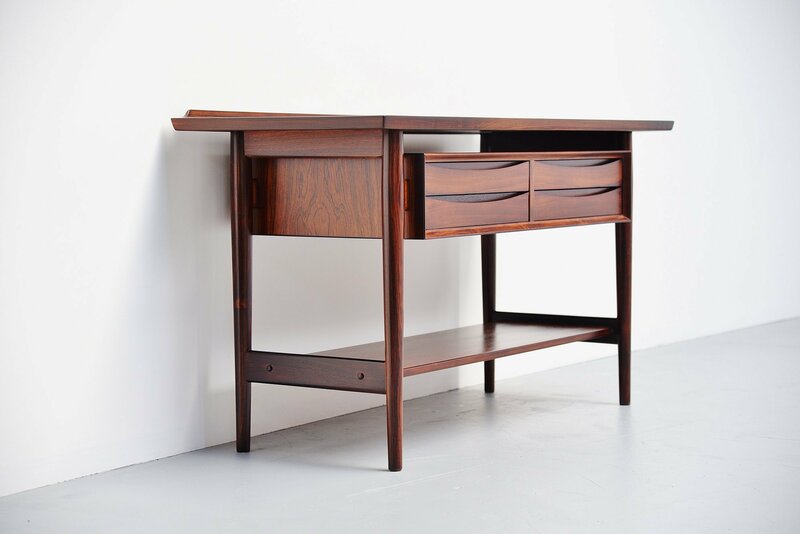 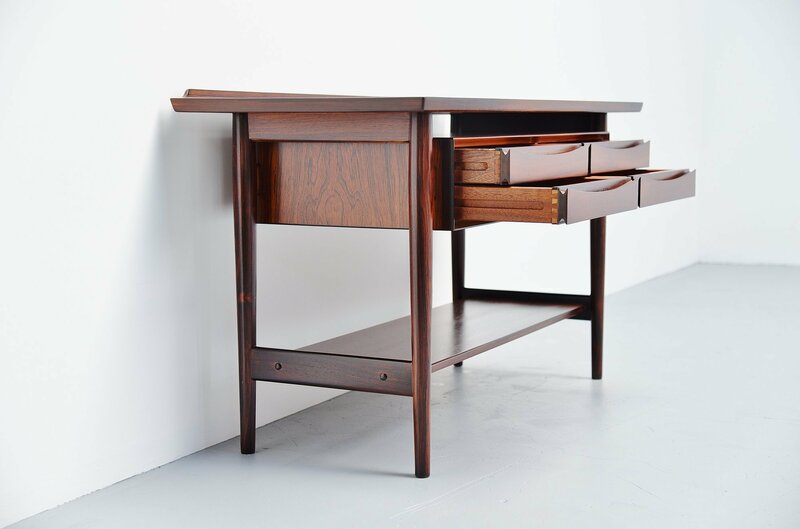 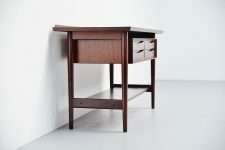 Fantastic drawer console table model 218 designed by Arne Vodder and manufactured by Sibast Mobler, Denmark 1960. 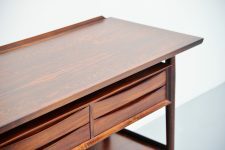 This drawer console is made of rosewood and has 4 drawers for storage usage. 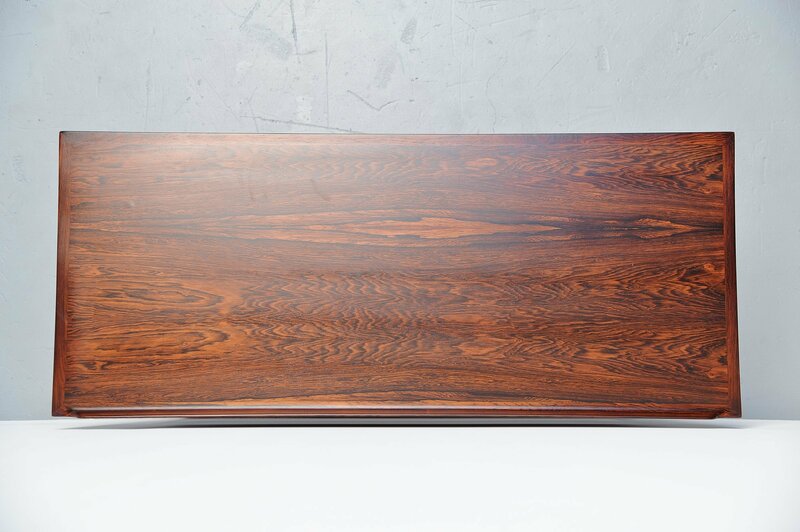 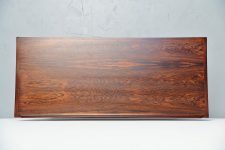 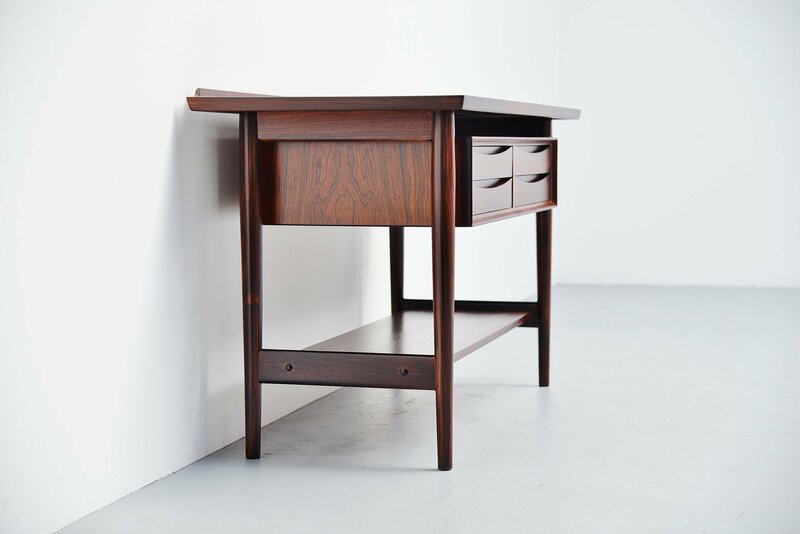 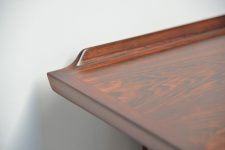 The console has a fantastic warm and deep rosewood grain, fully refinished in perfect condition. 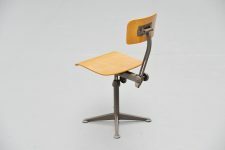 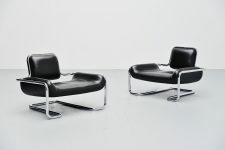 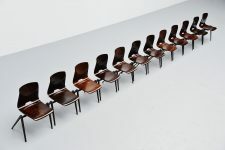 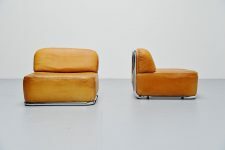 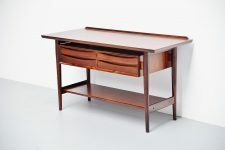 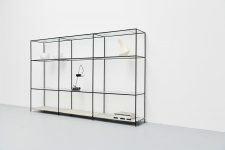 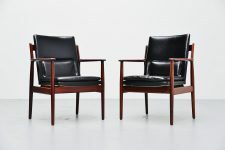 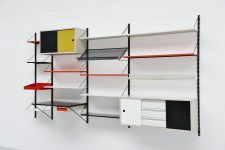 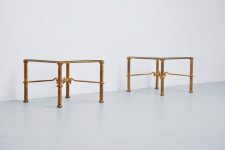 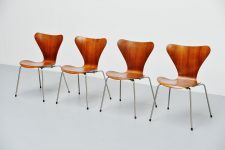 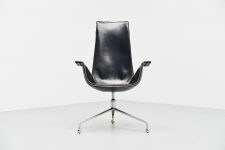 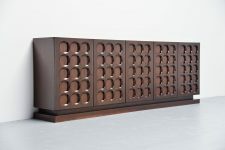 Very nice and decorative Danish quality furniture by one of the better Danish designers of his era. 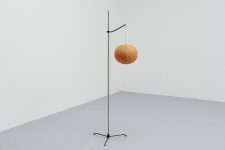 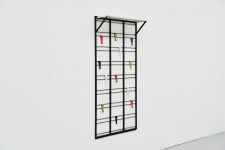 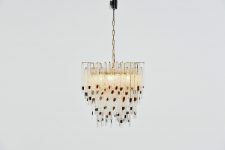 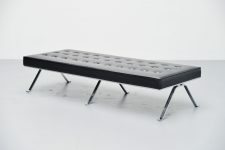 Would look great in any modern home or interior.